The lack of a clear connection between Afanasyevo and the Tarim Basin. The existence (in Tocharian) of a rich agricultural IE terminology related to cereals, as well as the domesticated pig, which cannot be easily explained if Tocharians arrived in Xinjiang from the steppes to the north, and, ultimately from eastern Europe. There has been a shift in the region from Tocharian and eastern Iranian languages to Turkic over the last thousand years or so. Why assume linguistic continuity in the preceding three thousand? Indeed, there has been linguistic shift throughout other regions of Eurasia in shorter timespans, such as the spread of Slavic across most of eastern Europe, the virtual extinction of Celtic in most of western Europe, the replacement of multiple languages by Arabic in the Near East, and so on. Linguistic continuity does not seem to be an appropriate default position in the absence of direct evidence. Indeed, the current Turkic Uyghurs, who are closer (temporally) to the Tocharians than the early Bronze Age Caucasoids have a rich assortment of Caucasoid Y-chromosome haplogroups, whereas the early Bronze Age ones seem to have belonged uniformly to R1a1. What languages were spoken by the non-R1a1 Caucasoids who arrived in the Tarim prior to the Turkification of the region? To summarize the first part of the argument: the early population of the Tarim does not have clear steppe connections, it may not have been Indo-European speaking, and even if it were, it did not necessarily speak the same language as the later Tocharians. Moreover, the Tocharian language has a vocabulary without clear steppe associations, but with rich agricultural ones. A recent paper by Zhong et al. provides rich data on Uyghurs that can be used to carry out this program. 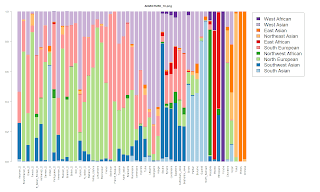 This analysis leaves four candidates: J2-M172, R1a1a-M17, R1b-M343, and L-M20. We can exclude L-M20 because its overall low frequency in most populations makes it difficult, at present, to make a definitive pronouncement on its origin, except perhaps for its Indian L1 clade which is absent here. 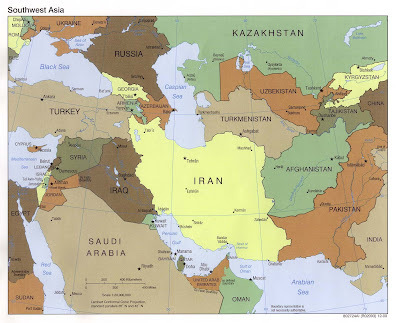 J2, present in both its J2a and J2b subclades here at substantial frequencies has an origin in West Asia, as well as a substantial presence among Indo-Iranian speakers. While it is possible (indeed likely, in my opinion) to have been present among the Tocharians, we cannot exclude the possibility that it represents either a specifically Iranian influence, or even something earlier than both. R1a1a is present in both the steppe, as well as South Asia and West Asia. Its high frequency among some Indo-Iranian populations also makes it difficult to ascribe a specifically Tocharian origin to it. This leaves only R1b-M343 as a candidate. Have we found a genuine Tocharian genetic signature? R-M343 and its main R-M269 clade are in a sense exasperating: the combination of their widespread distribution from Africa, the Atlantic, to the depths of Inner Asia, combined with their apparent Y-STR-estimated youth make it nearly impossible to associate them with a specific archaeological or historical phenomenon. Where could R-M269 have come from? It was not present, as far as we can tell, in early Bronze Age Xinjiang, and neither has it been detected in south Siberians. The steppe/"northern" route seems out. A southern route, from the Indian subcontinent also seems out, as despite its ubiquity elsewhere in Eurasia, it seems to have (mostly) skipped both India and (to an extent) Pakistan. An indigenous origin seems highly unparsimonious, as it would require that it trek all the way to the Atlantic, but make hardly an impact in either East Asia or South Asia. As far as I can tell, the only explanation for the presence of R-M343 in Xinjiang is West Asia, or at least Central Asia west of the Tarim. There it can be found at a high frequency in Armenians, Turks, north Iranians, and Lezgins among others. And, unlike both J2 and R1a1a, R-M343 does not seem to be Indo-Iranian (due to its absence in India). 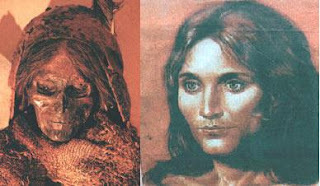 Gamkrelidze and Ivanov cited W. N. Henning to the effect that the ancestors of the Tocharians could be identified with the Gutians from the Zagros, a people that attacked the Sumerians and founded a dynasty. 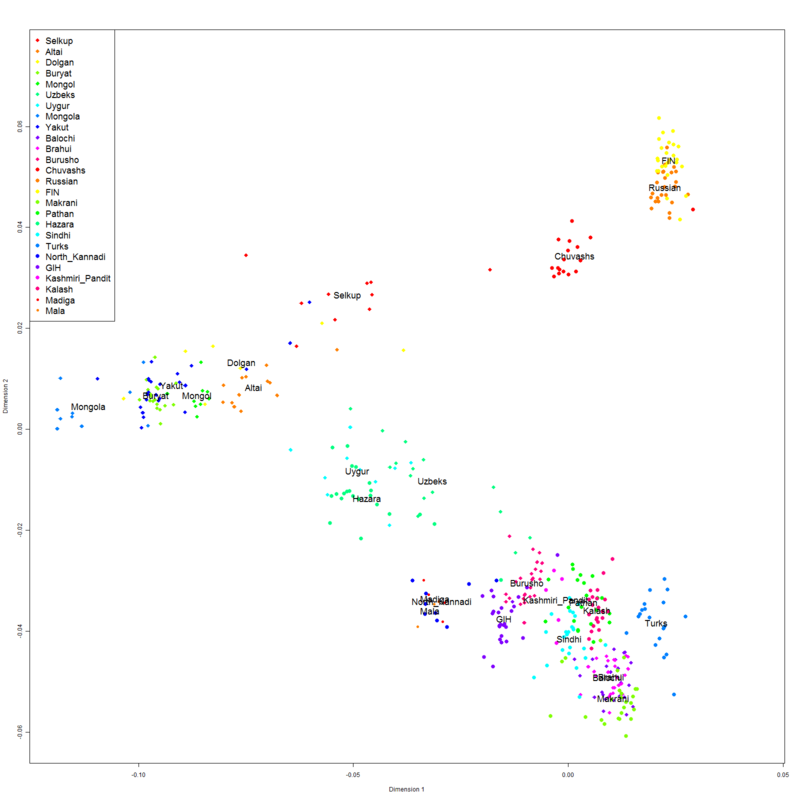 As usual, I don't presume to know the linguistic evidence for this, but this hypothesis would place the ancestors of the Tocharians in the "right spot": virtually all of their Caucasoid Y-chromosome gene pool could be explained with an origin in north Iran. First, Tocharians are descended from a group of farmers that moved east of the PIE homeland and settled on the Zagros and beyond, south of the Caspian sea. Second, their trek to the Tarim was a simple west-to-east movement along what would later become the Silk Road, beyond the Taklamakan desert and into the Tarim basin. There they must've mixed with the early pre-IE mixed Caucasoid/Mongoloid population of the early Bronze Age. The desert probably sheltered them, to an extent, from encroachments by the Iranians. An open question remains: were the Tocharians late fugitives who were pushed out of their ancestral homelands by the emergence of the Iranians and entered the Tarim late? Or were they established there fairly early and were the historical Tocharians are the eastern relics of a once great people that was not Iranized unlike most of the people of Central Asia? The Uyghurs seem to lack the Southwest Asian component that is ubuiquitous in most of West Asia today, and may have, in large part, expanded with the more recent spread of Semitic languages. They are similar, in that respect with South Asians, suggesting that neither the spread of Islam to the east nor the cosmopolitanism of the Silk Road were enough to bring this component to the region. Hence, the plethora of Caucasoid Y-haplogroups in the region cannot be attributed to recent arrivals. The absence of specific South European components in them also suggests that the opinion of some linguists and archaeologists that would see the Tocharians related to Celts and moving from deep within Europe, or even Western Europe to the Tarim, are unlikely; the south European component is ubuiquitous in Europe, and the Uyghurs, like South Asians, seem to lack it entirely. Their Caucasoid components are primarily West Asian and North European. 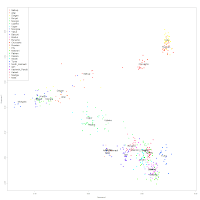 Projecting them on the East Eurasian/West Asian/North European PCA plot (left), it is clear that they are more West Asian than North European, a result that is in agreement with their ADMIXTURE results. 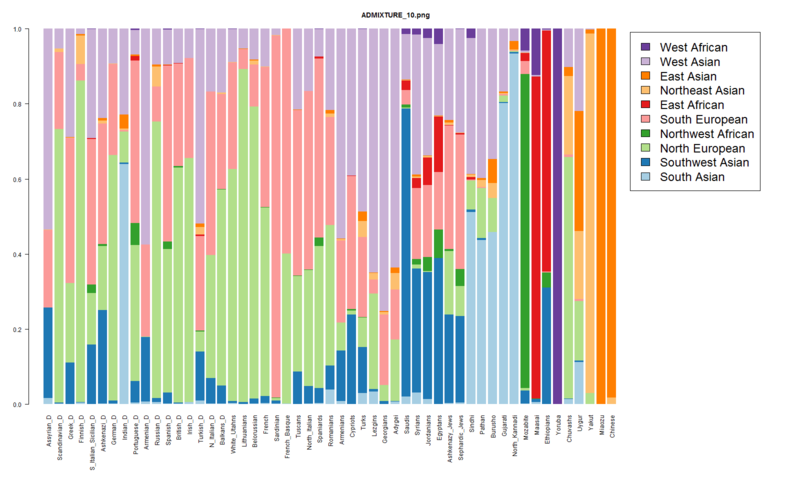 Notice also how the North European/West Asian ratio is reversed for the more northern-latitude Uralic/Altaic speakers (Selkups, Dolgans, etc.). the Uyghurs are partly Mongoloid both because they may carry the legacy of the ancient mixed population of the Tarim, and also because of their more recent Turkic/Xiongnu associations. with respect to their Caucasoid components, they are mainly West Asian (with the West Asian component also being primary in South Asia), but somewhat shifted to the north due to their absorption of mixed Northern Caucasoid/Mongoloid peoples from the steppelands. The mystery of the Tocharians may be that there is no mystery. The Tocharians are revealed to have been just another West Asian branch of the Indo-European family that, unlike most of its cousins, went east, absorbed Northern Caucasoid, Mongoloid, and South Asian population elements, emerged long enough in history to leave us a written record of their presence, before succumbing to the Xiongnu and the Mongols. "[R-M343] can be found at a high frequency in Armenians, Turks, north Iranians, and Lezgins among others." You should have written "before succumbing to the Uyghurs". But of course, the earliest Caucasoids of the Tarim were much more Caucasoid than present day non-IE South Siberians based on their genetic (and also craniometric) results. - "The lack of a clear connection between Afanasyevo and the Tarim Basin." Maybe not "clear", but this connection has been supported in the past by some similarity in potteries and recently by haplogroups (both among the east Asian and west Eurasian ones) in Chunxiang Li et al 2010. Is there any clearer archeological and cultural connection? Not at all. It's still the safer bet. - "The existence (in Tocharian) of a rich agricultural IE terminology related to cereals, as well as the domesticated pig, which cannot be easily explained if Tocharians arrived in Xinjiang from the steppes to the north, and, ultimately from eastern Europe." 1/ ARFAIK know there is no evidence that the term for pig (suwo IIRC) was originally designating the DOMESTICATED pig. 2/ A basic agriculture have been found in the Yamna culture (in river valleys naer hill forts) - and after all it was in (and/or close) the former dniepr-don culture area. The Loulan beauty (about 1,800 BCE) - contemporary (but living EASTER) of the R1a1a bronze age Xiaohe people (having among them a mtDNA H haplogroup with matches in western Europe) whose Chunxiang Li confirmed they apparently came from south Siberia - had a basket of wheat, so it's possible the people of Afanasevo knew some basic agriculture that became more important for survival as some migrated in the rougher Tarim basin environment, later. The andronovo culture was pastoralist (the population was also of Europoid morphology) but they also had a basic agriculture. After all, the latin language had also some basic agricultural IE terms and yet they were above all shepherds. A basic agriculture knowledge might have been part of the Steppic migrants. "Why assume linguistic continuity in the preceding three thousand?" Why not? It was not exactly a highway of Eurasia in this time. On the contrary it was pretty isolated. "The earliest Caucasoids of the Tarim were already substantially mixed with Mongoloids at least in their mtDNA. This reduces our confidence that they spoke an Indo-European language"
"as there is a pattern of Caucasoid patrilineages combined with Mongoloid mtDNA in present-day non-IE South Siberians"
Except that we know a major east Asian flow occured starting with the beginning of iron age (derenko et al 2002, kayser et al, 2009, lalueza-fox et al 2004) and we also know that both in bronze/iron age south Siberia and Tarim basin (xinjiang) only R1a1a have been found so far. The male lineages give more credit to the west eurasian language than the an east Asian language shift. "Tocharian language has a vocabulary without clear steppe associations"
They would have adapted to a very different environment for millenia. Besides, I keep on thinking that we can find non satem IE cattle words in Asian populations that also have cattle that is partly of European origin (according to genetic tests) which could be a hint. First of all, I won't take your word for it. Second, you're wrong, both on craniometric grounds, and of course "isolated" populations don't shift from a single haplogroup to more than a dozen. You are missing the point. The steppe pastoralists didn't have pigs or cereals (if the evidence Mallory refers to is right). So, how come Tocharian has words for cereals and pigs? "You are missing the point. The steppe pastoralists didn't have pigs or cereals (if the evidence Mallory refers to is right). So, how come Tocharian has words for cereals and pigs?" I thought I had kind of adressed it, actually. 1/ cereals: Indeed we don't have tracks of it YET (who knows maybe there was a minor use of it in (some part of) Afanasevo). After all, once again, the Loulan beauty (1,800 BCE),contemporary of the R1a1a Xiaohe in Xinjiang but living easter, had a basket of wheat! We can't totally exclude the possibility the Afanasevo population coming from the west had such BASIC agricultural knowledge yet. The Central Asian Andronovo peoples were pastoralists (and ancestors of the Scythians/Saka, apparently) and yet they used some basic agriculture too. 2/ Pigs : Once again we can't be sure "suwo" originally designated a domesticated pig, it could very well have originally deignated a wild boar (this root in indo-iranian designates the wild boar for instance, if I'm not mistaken. If you look at a map of the spread of this animal via google, you'll se that it is possible. If you mean abou the presence of the animal, the pig, among them, they could have obtain pigs later by contacts, then using their word for the wild animal when the knowledge reached them whatever way it occured. Are you aware of an archaeological trail linking the Tarim/pig/cereals to west Asia and that could allow wheat to be present in 1,800 BCE at the time of the earliest individuals (who as far as we know so far had only R1a1a (and even a mtDNA lineage with matches in western europe?))? I confess I am not. "isolated" populations don't shift from a single haplogroup to more than a dozen"
When I said "Isolated", I meant "at first" and "for a while". It's obvious it didn't remain that way for the whole Tarim basin history. I meant to say that the earliest settled population could have time to consolidate its prominence and the rest of the peoples coming there could have agglomarated without necessarily generating a language shift, only some moderate linguistic input. We don't know the exact pattern and chronology of the settlement in the Tarim basin is not very clear yet but at least we know that the earliest mummies found so far were all R1a1a, so we can't particularly assume at this moment that other haplogroups (ezspecially west eurasians) were already present at that time in the Tarim basin, especially since AFAIK the earliest tracks of settlement in this time period is at the early bronze age (even though there were probably some humans living there during the paleolithic). After all, some haplogroups could have arrived quite late, actually. "According to Arshak Safrastian, the Medes and Scythians mentioned in classical Greek literature existed only as preconceived notions. Equating the Carduchi with the Gutians, he adds that the moment the Ten Thousand began to skirt the lower slopes of the Hamrin Mountains, they were in contact with the tribes of Gutium which are presented here as Medes or Scythians." The Gutians and there descends the Carduchis are usually brought up in contact with Kurds. It seems the Gutians merged with Scythians and Medians and became Iranified and so the Carduchis were born. This also explains very well the kurdish Ethnogenesis. The Gutians might have been a Indo European Group there language is often called Torchi and brought up with Tocharians. "Dating, using ANSTO’s precision techniques, was used to identify the age of seeds, slag, copper ore and charcoal at two sites. The findings show the material is up to 3700 years old, but that smelting was still being carried out as recently as 1300 years ago." "The research indicates bronze production may have begun as early as 2135 BC and that the modern mine location - Baishantang at Dingxin - was possibly the historical source of copper ore for manufacturing." " “The aim of the study was to determine possible sources of ore and evidence of bronze production through analysis of artefacts (with copper and arsenic content) including analysing samples of slag and copper ore from two archaeological sites known as Ganggangwa and Huoshiliang in northwestern Gansu Province,“ he said." "The team discovered substantial areas of woody vegetation around the sites which is now dominated by sand dunes. The Bronze Age people of the Gansu area were farmers who planted cereals such as wheat and practiced animal husbandry. Horse and sheep bones are common. It is believed they may have abandoned the region when wood was exhausted and desertification took over." I notice that sheeps and horses are also among the most typical Afanasevo domesticated animals (but there were some bovine cattle too). Besides, isn't R1a1a the most frequent y-dna "west eurasian" haplogroup in north-western Gansu nowadays? This Loulan beauty basket of wheat is important, I think. It at least shows that the source of Tocharian could be there for a very ancient time (it works with the fact that Tocharian is supposed to be one of the oldest branch of IE). The Loulan beauty was apparently part of this west eurasian people living in Xinjiang as soon as early bronze age and that apparently were R1a1a on the male side (with also some west eurasian mtDNA lineages, that Chunxiang Li considered as coming from south Siberia). First, Mallory mentions multiple cereals (6 if I remember his slides correctly). Second, and most important, the Beauty of Loulan lived in Loulan, and not the steppes. "Tocharians are descended from a group of farmers that moved east of the PIE homeland and settled on the Zagros and beyond, south of the Caspian sea." It's possible, of course. One of the things that contradict it is the fact that Tocharian shares none of characteristic Anatolian kinship terms (e.g., atta father, anna mother, neka sister, tideimi son, nani brother). In fact, Tocharian kinship vocabulary is strictly European (pacer father, macer mother, tkacer daughter, ser sister, soy son, pracar brother). This suggests that Tocharian split off (early!) the main body of IE languages, those that are not attested in Anatolia. Hence, it's likely that Tocharian took a northern route east, not a southern one. The aberrant Anatolian kinship term set does contain a clear archaism: atta father is confirmed by Germanic (Goth atta) and Slavic (*otici). But in view of Luw duuttari, Lyk cbatra 'daughter', which is a direct continuation of the standard IE etymon for daughter, Anatolian does show traces of the European kinship term set. This means that the unique features of the Anatolian set are innovations, not attested in the more archaic Tocharian. The modified Swadesh list that's used uncritically by Bayesian practitioners is a random hotchpotch of words deemed "universal concepts" without much rationale behind it. The parts of vocabulary that are characterized by systemic integration (e.g., kinship terms, numerals, etc.) are not used but they keep posing problems for the Anatolian homeland theory. Mallory has identified more physical type similarities with the early Tarim basin peoples with the Afanasyevo peoples to the North than with the Indo-Iranians to the South, for most of the pre-Uyghurs period, and likewise greater similarities in their remaining relicts, such as clothing styles. It also isn't accurate to classify Afanasyevo is straight pastoralist nomads. They did farm. The more difficult question is not where the Tarim basin people got farming in general from, but where they got irrigated terrace farming from (something not widely practiced by any of their close geographic neighbors closer the BMAC and only roughly similar to BMAC methods). The assumption of linguistic continuity in the presence of cultural continuity, and the assumption that linguistic shift will generally be accompanied by other cultural discontinuities as well as a pretty reasonable default assumption. Moreover, it is particularly reasonable given the IE phylogeny of Tocharian. The most important things that linguistics tell us about Tocharian are that it is a very basal split from other IE languages and that it is not Indo-Iranian. Even if you try to make a theory of Tocharian coming from people who spoke an Indo-Iranian language in the mid-1st millenium CE and then experienced language shift, the basal character of Tocharian means that a split from those people had to be at a great time depth. To reject a continuity matching "pots and hats" cultural continuity from Afanasyevo to early Tarim Basin to attested Tocharian, one has to assume not just that language change happened without visible cultural traces of any kind in a place where the historical record is well preserved by optimal climatic conditions, but also that the other possible sources for Tocharian were not speakers of languages in the Indo-Iranian language family, despite the fact that neighboring IE language speakers were speaking Indo-Iranian languages at the earliest dates we can discern from historical records and show cultural continuities with each other. Re: Pigs. We think we know that PIE had a word for pigs. Pigs were also a core part of the East Asian neolithic from the very beginning there. One doesn't have to encounter something very often to keep a word for it in your vocabulary (e.g. most native speakers of English are familiar with the word "sloth" in its sense as a kind of animal despite encountering the word only infrequently and never seeing them; and words for things that are part of legends or traditions, as pigs might have been, persist even longer - most people know the words frankensense and myhrr and leprecaun and wyrvn and griffin despite never having ever seen any of them in real life). The notion that the IE word for pig could have survived from the era when pre-Tocharians last encountered a pig in daily life to the era when they next encountered a pig from East Asian merchants or soldiers is not a particularly credulity stretching concept. Not sure where you get that, in the article he wrote with Hemphill they seem to suggest that the earliest population had no close associations with the steppe. Actually, that broad-faced and mesorrhine population may very well mask a little Mongoloid admixture, just as there is a little Mongoloid admixture in the broad-faced Afanasevo groups. Ok, so Mallory is pulling our leg when he says that the cereals vocabulary is not consistent with a steppe origin until very late? The most important things that linguistics tell us about Tocharian are that it is a very basal split from other IE languages and that it is not Indo-Iranian. Even if you try to make a theory of Tocharian coming from people who spoke an Indo-Iranian language in the mid-1st millenium CE and then experienced language shift, the basal character of Tocharian means that a split from those people had to be at a great time depth. A great time depth is no problem, and in no ways implies a great spatial separation. You get all sorts of languages with great time depth of separation living right next to each other all the time, try the Caucasus or the Aegean. So, I don't see any problem with the idea that Tocharian, or its ancestral language, split off from Anatolian early, but did not move all the way to the Tarim early. Did you even watch Mallory's talk? He says that pretty much the only link between the two is the fact that the former enclosed their cemetaries with stones, the latter with wooden poles. I strongly disagree. Not having grown up in a village or agricultural setting I lack most of the terms that my parents' generation possessed, who, in turn, lack many of the terms that older generations did. This is especially salient for my Pontic ancestors who had all sorts of foods/recipes using specific Black Sea flora that are not found in the Aegean. I see absolutely no reason why a memory of multiple cereals would be preserved by people who did not use them for many centuries as they moved across the steppe. "The Gutians might have been a Indo European Group there language is often called Torchi and brought up with Tocharians." - Very interesting. No Xinjiang people were actually called Tocharian. "Tokharoi" was wrongfully used this way at first and this mistake remained in use since then. And "often" = one author, IIRC. "First, Mallory mentions multiple cereals"
The article I mentionned says cereal_S_. "the Beauty of Loulan lived in Loulan, and not the steppes." I didn't mention the steppes I talked of the R1a1a Xiaohe people living in XINJIANG in the exact same time period. The article mentionned the earliest tracks of this population in eastern Tarim basin/Gansu roughly at 2,135 BC - 1,700 BC while the tested (in Chunxiang Li et al 2010) R1a1a Xiaohe people (also deep in Xinjiang) was about 2,000 BC - 1,500 BC IIRC. Noone can deny that the chronology fits exactly. The fact that this partly west Eurasian peoples were found in the east part of Xinjiang (and apparently north-west Gansu) could be explained by the fact they didn't come directly from the west but actually from the north (south Siberia). @ andrew : "Mallory has identified more physical type similarities with the early Tarim basin peoples with the Afanasyevo peoples to the North than with the Indo-Iranians to the South, for most of the pre-Uyghurs period, and likewise greater similarities in their remaining relicts, such as clothing styles." Yes, and IIRC, in their book, Mallory and Mair mentionned that mister Han Kangxin from the Chinese Academy of Social Sciences of Beijing also reached the conclusion that the Tarim basin mummies' skulls were closer to the Afanasevo and Andronovo skulls than to any other ancient population. The word böri too is iranic(perhaps from non attested scythians)cognates with ossetian "birae" and yaghnobi "wuri" from proto iranic "verka" wich is from proto indo-european "wlkwos"
"tengri" is accepted to be a loanword from yenisseian "tenger=high"(there are many yenisseian loanwords in old turkic,mostly cultural words, such as kağan=lord, han=lord, iğne=needle, kaşık=spoon...)some linguists connect "yenisseian" tenger(very likely a loanword)with pie root "dlhong"=long with wich the indian deity "druga" is connected. "ARFAIK know there is no evidence that the term for pig (suwo IIRC) was originally designating the DOMESTICATED pig." I checked around and it is indeed unclear whether IE *sus referred to a wild or domesticated pig. We can be certain, however, that IE *porko- 'young pig' referred to the domesticated variety. It wouldn't make sense to have a special term for an animal offspring if the animal wasn't bred by humans. And Tocharian lacks a reflex of IE *porko-. Whether Hittite had either word is unclear. For comparison, IE *(H)owi- 'sheep' is well attested in Tocharian, Anatolian and other IE languages. "Not sure where you get that"
Mallory and Mair's book, "The Tarim Mummies" or something like that. Written before the Hemphill article. Besides, The presence of cereals such as wheat, barley and millet is attested in Srednij stog sites (a culture ancestral to Yamnaya. The Afanasevo population would be derived from final Srednij stog/beginning of Yamnaya peoples). I think, there are plenty of evidences that suggest that the Tocharians were originally derived from Afanasevo (even linguistical hints as some old east Asian input related to proto-turkic/proto-tungusic and the such are found in Tocharian languages apparently). Even the fact that the earliest partly west eurasian populations' mummies and archaeological remains are first found in the EAST of the Xinjiang and the GANSU support the fact that they didn't arrive directly from the west but that they actually came from the north (i.e. south Siberia). "The Loulan beauty (about 1,800 BCE) - (snip) - had a basket of wheat"
what are the main blocks for human tribal migration? So what would happen if some impassable (for flocks of sheep) terrain suddenly (i.e over decades) became passable (for flocks of sheep)? For a short window of time there are no other tribes (or none except low-density hunter-gatherers) in the way and you have a clear road stretching for thousands of miles east-west. So i'm thinking there may have been a brief window as the ice withdrew and *before* there were steppe peoples when mixed agriculturalists / pastoralists living on the edge could have moved onto the steppe and travelled east-west with their flocks with no obstacles like it was a motorway. So a journey by agriculturalists from the west to the Tarim basin that took say 4-5 years who then settled down to be agriculturalists again while the open steppe road behind them gradually sealed up with tribes of people who would over time become steppe pastoralists would answer some of the objections at least. For a brief time a Tocharian window could have been like a temporary land-bridge. A bit far-fetched maybe but an interesting thought. I want to tell some thing about Tocharian.In india 2000 years back some some people came to Tamilnadu and ruled the country in the name of Pandian.Their sur names are like Hittie bommu and names ends with khan like Pachakhan,Lachakhan,kechilar and more than 30 names all related to tocharistan.Further details pl mail me to boopathymm@gmail.com. This topic is interesting yet the answers may prove difficult considering that Central Asia was literally the crossroads of Eurasia. The heterogeneity of populations particularly those from early historical times especially due to admixture is expected and no surprise. But judging from the archaeological clues, I am wondering if there are any ties the Bronze Age Tarim people had with the BMAC culture which was very much agricultural or more immediately the ancient Swat Culture. I should also point out that ancient Indian texts are very much handy since they do mention various northern tribes some of whom had alliances with Vedic tribes. Tribes with names like Tushara or Tukhara were among them and cereals and pigs were among their produce. I am not counting out the Afanasyevo culture entirely, however a direct west-to-east movement seems just as likely. Not that I discount the Afanasyevo origin entirely, but I do think there is indeed a west-to-east movement and that the Bronze Age Tarim folk had ties to the BMAC which was also very much agricultural. Even early Indian texts make mention of various northern tribes some of whom had alliances with the Vedic Aryans and a couple had names like Tushara or Tukhara. Both cereal and the pig were among their produce. You must consider also the Khotanese people, which the scholars say are "Saka" and indian immigrants bringing buddhism and prakrits. M343 (R1b*) is not present in any populations in the region, except Persian ethnic group of Iran at 4.3%, and given the generally high diversity in the area, it's pretty clear that one branch of IE is sourced near NW Iran. The Eastern R1a branch, is clearly sourced in the East of Iran (Underhill et al, 2014, R1a study), and is what accounts for the relatively close relationship between Eastern European languages and Indo-Iranian. These R1a groups, were Iranian derived populations who migrated into Central Asia (Scythians, Saka, Sarmatians, Sogdians). I believe the Henning reference should be to WB Henning in GL Ulmen Society and History: Essays in honour of KA Wittfogel (The Hague:1978) and not to WN Henning. proto Indo-Europeans were Anatolian origin. Tengiri < came from old Turkic ten- means (go to sky, go up). In old Turkic tengek means (air), tengir- means (make something go to sky, arrow, bird etc.) In Old Turkic Tengiri means (sky 2. God 3. heaven). Kagan/kan, iğne and kaşık are Turkic too, not Yenissean. In Yenissean languages qân means (king) < loan from Turkic. In Yenissean qoˀn means (needle), and qɯ̄kt means (spoon). Kam means (shaman) is Turkic too, not Iranic etc. Is Jebel Irhoud the Father of mankind? Let the Y-STR mutation wars begin!